Sikh Centenary Celebrations Release of Sikh postage stamps Uganda. Uganda Government’s inclusive polices encourages the investors. 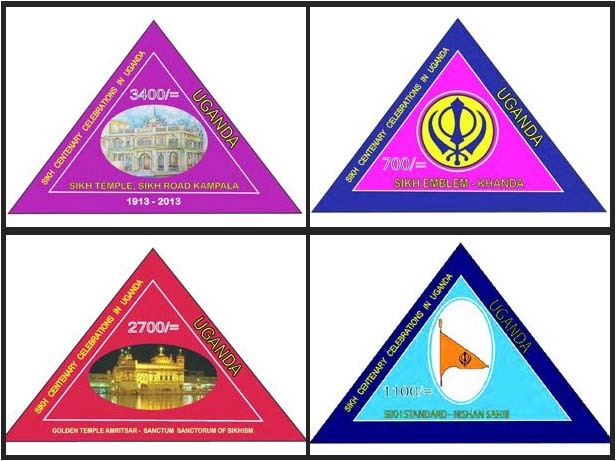 At the beginning of January, in recognising the contribution by Sikhs in Uganda over the last century, the Ugandan government released four commemorative Sikh stamps as part of the centenary celebrations. This historical event was also attended by the Secretary General of the Council; the moment of the launch was received with much enthusiasm by the global Sikh community. This was a remarkable step by the President of Uganda Kaguta Yoweri Museveni towards community cohesion. Gurmel Singh Secretary General of Sikh Council said ‘We congratulate the Uganda authorities and people for recognising the Sikh contributions and hope that as a result there will be great goodwill and global Sikh businesses will want to invest in Uganda and support charitable causes to alleviate poverty’. The issuance of commemorative stamps has given a loud message of the inclusiveness of the current Uganda’s government policies and a positive signal towards racial harmony.